Microsoft will launch an on-demand video player in the UK tomorrow. Deals with BBC World and other producers mean that the channel has bagged some big-name programmes: Skins, the Peep Show, Faking It, the Young Ones and Midsommer Murders – in total 1000 hours of programming. The player will be called the MSN video player and all content will be free to stream or download. I’m not sure if there’s an expiry date on downloads. 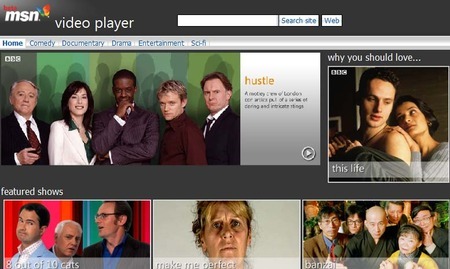 The MSN player will compete with SeeSaw a British service that also cherrypicks content from across different channels and lets you watch the programmes on demand.